Belmont is the place to be this Sunday. From 12 until 3, Lampo, the hugely popular Neapolitan pizzeria, will host its first ever pop-up brunch. If all goes well, it won’t be their last, and, based on the menu items we sampled, it’s bound to go well. 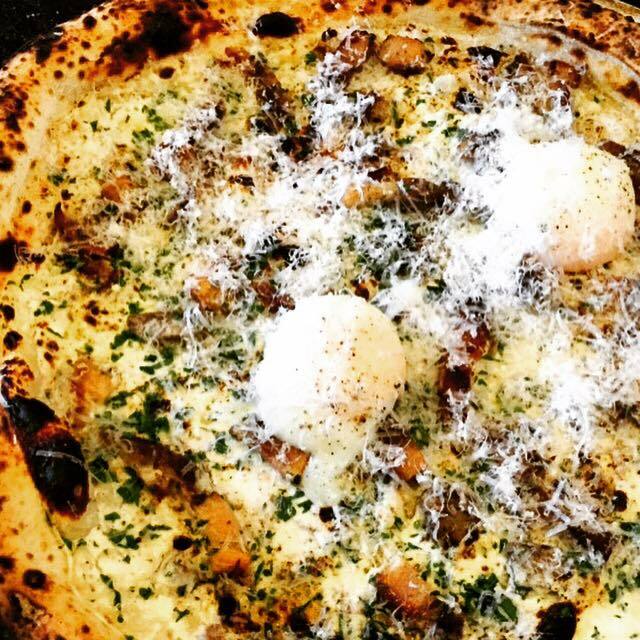 A white pizza based loosely on carbonara (pictured above) is stellar, topped with porchetta, parsley, pecorino, and 63 degree sous vide eggs. 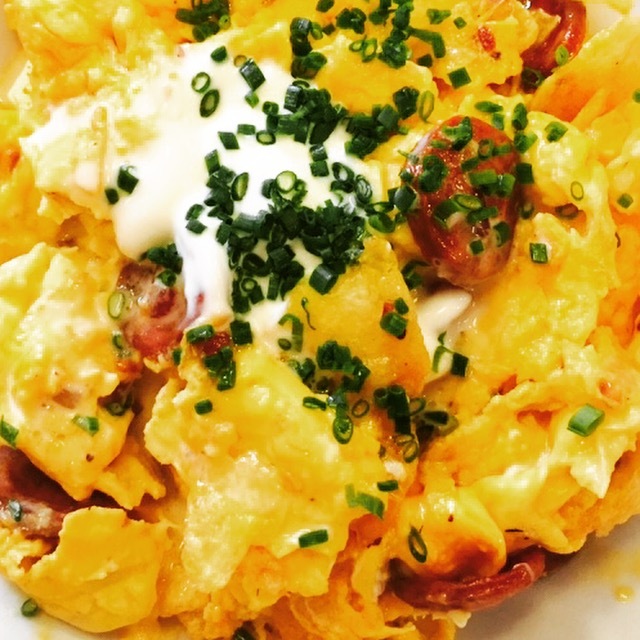 Also delicious is a modern riff on the classic Spanish tortilla, inspired by super-chef Ferran Adria: creamy scrambled eggs with discs of smokey chorizo and, Adria’s addition: potato chips (pictured below). Lampo’s chips are house-made and flavored of pickles to offset the rich eggs and chorizo. There will also be sous vide, fried duck with waffles. And, regulars will be happy to know that Lampo will bring back the popular Hellboy pizza. “People have been clamoring for it and the Scorpion pepper sauce is finally ready,” said chef and co-owner Loren Mendosa. To go with the grub, bar manager and co-owner Andrew Cole has some special brunch drinks planned, including a paw paw daiquiri and a spicy Bloody Mary with San Marzano tomatoes and pickled friarelli peppers. After brunch, you can get your weekend wine-tasting fix right next door at The Bridge PAI. 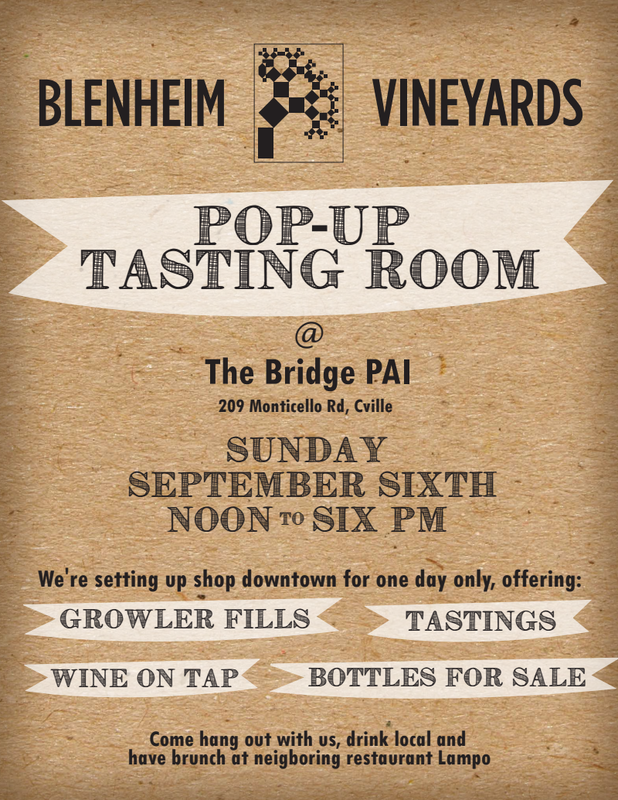 From 12 until 6, Blenheim Vineyards will host a pop-up tasting room, offering tastings, wine on tap, growler fills, and bottle sales. Details below.